Decks R Us is proud to be the leading cedar deck construction company in the local area. Thanks to our years of experience in the industry, we have the skill, expertise, and design know-how to realize your vision and revitalize your outdoor space with a brand-new custom deck. If you want to be sure that you’re getting a premium deck that’ll last a lifetime, you need to contact us. Call us at (416) 788-0295 today to schedule a consultation. We tailor the experience according to your precise specifications. Want a tiered deck that wraps around the side of your home? We can do it. You want a portico adorned with hanging gardens? Or an octagonal deck with a stylish pergola? We’ve got you covered. We’ll even get your deck project sealed by a certified engineer. And approved by the municipality. And we’ll ensure everything is up-to-code. We go the extra mile for our customers. We do it all—and we do it at an affordable rate. All our decks come with a quote guarantee. When we give you a price, we stick to it. You’ll never be surprised by a higher price than what we first offered. We are renowned for our exceptional designs and keen sense of style. Whatever kind of deck you want, we’ll design it to enhance the beauty of your surroundings and complement the aesthetic of your home. We’ll help you bring your ideas to life, creating a beautiful and fully-functional outdoor living space in the process. We make sure that you approve every element of the design before we begin construction. We provide detailed project plans so that you can visualize the deck and give us the go-ahead. That way, you know your’re getting a deck that meets your exact specifications. The quality of our decks is second to none. We ensure that all our decks are durable, reliable, and immaculately-well finished so that it stands the test of time. We use only premium hardware and high-quality construction materials. “Shortcut” is not a term in our vocabulary. We carefully select our cedar. We guarantee a deck that will look good and stand protected from all weathering. 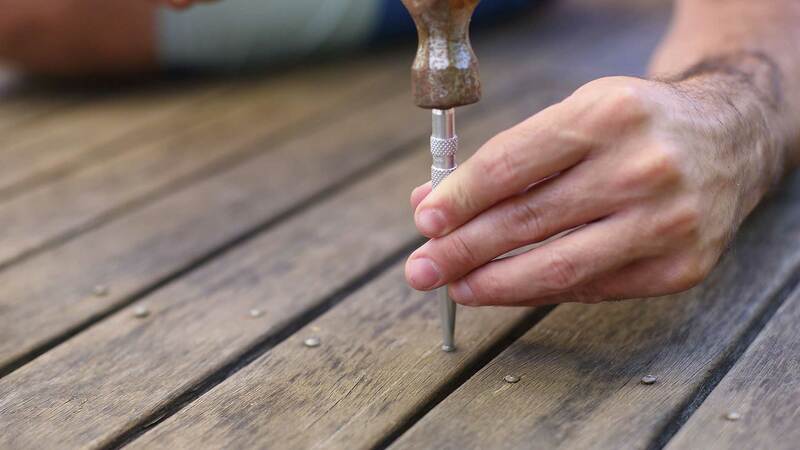 After we’re done, we’ll also stain and treat your new deck—and teach you how to maintain it—to make sure it lasts for years to come. At Decks R Us, we know we build exceptional decks for our clients. And we want you to be able to experience our services worry-free. That’s why we offer a 100% customer satisfaction guarantee on all our services. We know you’ll love your custom deck, but in case you’re somehow not satisfied, we’ll work with you every step of the way to fix the problem. For all your local cedar deck needs, contact the best in the business.